This is an activity you can get years of fun out of. These are great for fine motor skills and getting those little fingers nimble and ready for writing. I have to say I love the foam lacing shapes. I wish I’d purchased these for her before. I like them a lot better than the wooden or cardboard lacing shapes I was more familiar with. The foam has a little give in it. As toddler hands push and pull on it, it can move a little and sometimes that has enabled my daughter to be able to get the lace through. The pliable nature of the foam makes this a more enjoyable activity for her and I’m not worried about things tearing as it snaps back into place. 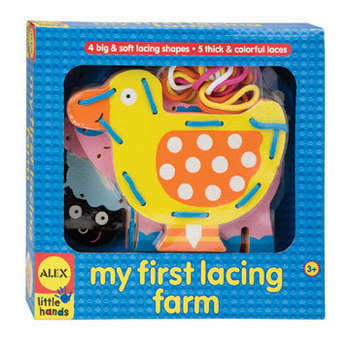 This product, and many others also by ALEX Toys has also won the National Parenting Center’s Seal of Approval. 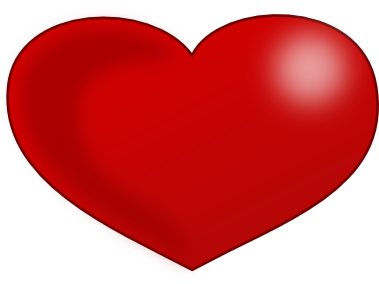 Happy Valentine’s Day from ALEX Toys! We hope you have a wonderful day surrounded by people you truly cherish. 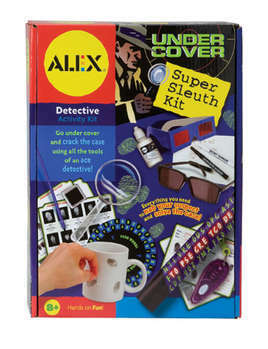 Carrie at 5 Minutes for Books, a 5 Minutes for Mom website, reviewed our Undercover Super Sleuth Kit. “This kit is amazing! It’s perfect for one child, or for multiple children to share together. There are two code wheels so that the ah hem, children, can write and crack their own codes. Whether it’s too cold to go out or you just want to enjoy a night in with family, staying home can be more fun than you’d think! Cozy evenings spent at home with those you love can create some of the most cherished memories and hilarious moments you’ll ever experience. Here are four ways to create cold winter nights that will warm your heart from the inside out. 1. ‘Smores: Chocolate, marshmallows, and graham crackers are the only ingredients you will need. The marshmallows don’t have to be toasted over an open flame. If you don’t have a fireplace, use your microwave or oven. Enjoy them over silly stories. 2. 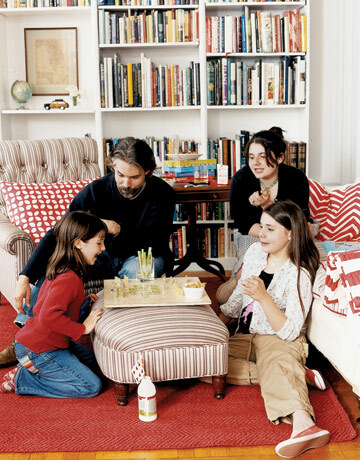 Board Games: Clear a place on the living room floor and bring out a board game that even the youngest members of your family can enjoy. 3. Hide and Seek: A spooky game of hide & seek in a dimly lit house will incite lots of delightful shrieks! Just make sure your younger family members hide and seek with an older sibling or a parent. 4. Inside Camping: Assemble a clean tent or use bedsheets to make a makeshift fort for your little ones to sleep in overnight. Use a flashlight to make wall hand puppets and read bedtime stories with. Spring and summer will be here before we know it. Enjoy how the cold weather months can really bring your family together.